The Catalogue of Late Byzantine Coins is the first major reference to include full and comprehensive typology of late Byzantine coinage (from 1081 to 1453) since the 1999 publication of Volume IV and V of the Catalogue of the Byzantine Coins in the Dumbarton Oaks Collection and in the Whittemore Collection. 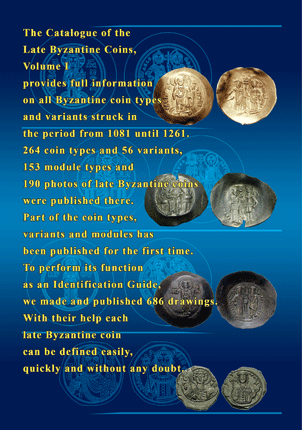 We have included coin types and variants known to Michael Hendy and Philip Grierson and all coin types of the late Byzantine period discovered after the end of the last century to the present day. We have included dozens of previously unpublished coin types and types previously published only in numismatic periodicals. These include coin types from several private collections unknown to English-speaking researchers. We have made a detailed study of all late Byzantine coin types to present a much more complete and accurate picture of both their metric data (weight parameters, range of outer and die diameters, etc.) and precise specification of all types' patterns and their inscriptions. We made drawings of all the coin types we could locate. The drawings are based on the principle that the reader will benefit much more from a composite image of the "ideal image" rather than a photo showing an obscure partial image. We are confident that it will be much easier to accurately identify a coin type based on the drawings than on the photos in existing references. 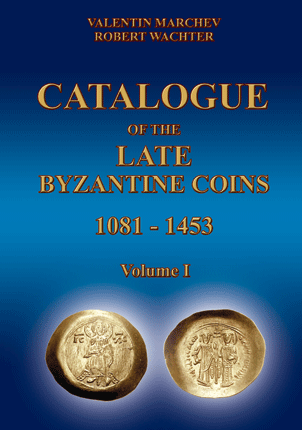 Volume 1 contains descriptions, metric data and comments on 264 coins types and 56 variants, we have differentiated 153 module types and made and published 686 drawings and 190 photos of late Byzantine coins from the period 1081 - 1261. The majority of these photos are of rare or very rare issues and modules that are virtually unknown. We have developed a new numbering system of late Byzantine coinage allowing quick and easy orientation to the issuer of each coin type, its denomination, module and final type number. The new numbering system, unlike previous systems, allows for future addition of new coin types, variants and modules without changing numbering of the previous known coin types. We have introduced a new "formal" criterion for differentiating different modules within a type - die diameter size (as distinguished from flan diameter). This is more systematic and avoids purely subjective perception in judging how to classify a particular coin module. The results from this approach lead to many interesting conclusions that call into question traditional assumptions within the field of late Byzantine coinage, especially with regard to the issues from the time of Latin Empire and those of the Despotate of Thessalonica. 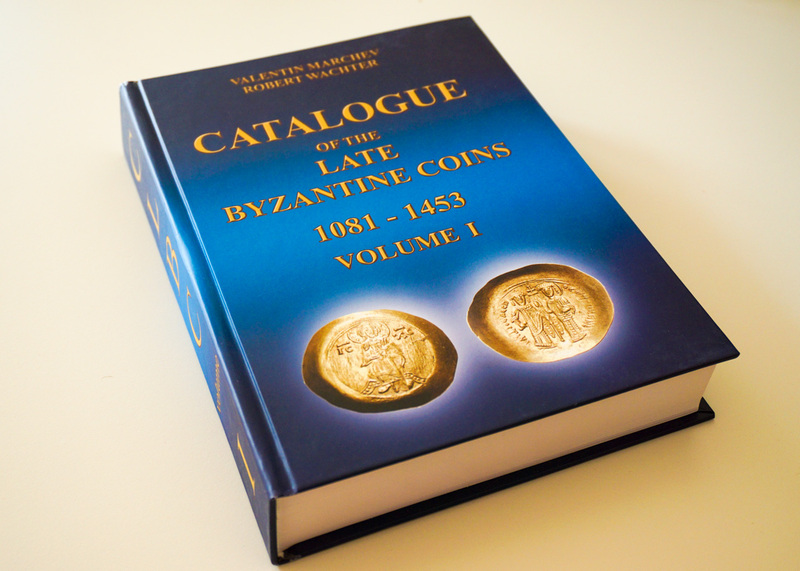 Volume I of the Catalogue of the Late Byzantine Coins is a luxury edition, with hard color cover. It contains over 600 pages and is printed on a high quality coated paper. The binding is suitable to perform the function as a frequently used Guide to the identification of late Byzantine coins. We will be pleased to discuss this extremely interesting subject with you. For those of you who would like to order Volume I of our book, we will provide you with all the information you need to order the book. The price of the edition for all over the world is EUR 119 (incl. PayPal charges, packaging and posting). PayPal in favor of orthodoxcoins@gmail.com. Bank transfer. Please reach out to orthodoxcoins@gmail.com for the payment details. If you chose to use bank transfer, please pay all bank charges (of sending and of receiving bank) - they are not included in the price of the edition. "I got the book in the evening and I took a quick look through it, entirely. CONGRATULATIONS, it's a great work! :) It makes me wish I paid more attention to these rather obscure Byzantine coins." "This new reference covers all known types from the period, including many variants published for the first time. Since these late Byzantine types are invariably obscure, each type is depicted with a line drawing of a composite ideal coin. With this new reference it is far easier to accurately identify these challenging types." "I bought your book and I am very happy with it. The acquisition of the die diameter is so useful!" "The book finally arrived and I am having a great time trying to digest it. It has already cleared up several problem coins I have. I can't wait until volume II is done!" Please send us your feedback at orthodoxcoins@gmail.com.